Everyone has a food that's sacred to them, that they can't bear to see reinterpreted, reinvented, elevated to gourmet status, or dragged down from its lofty pedestal into a newfangled comfort food preparation. In most cases it's not that the new version doesn't taste good; it's more that everyone gets so gaga over it they forget about the original, inciting a fury in the faithful that makes a Dre-repping Eminem look like some boring old guy in his 40s. Because fanning flames is fun, we rounded up a bunch of very protective eaters and had them vigorously defend their most cherished dishes. 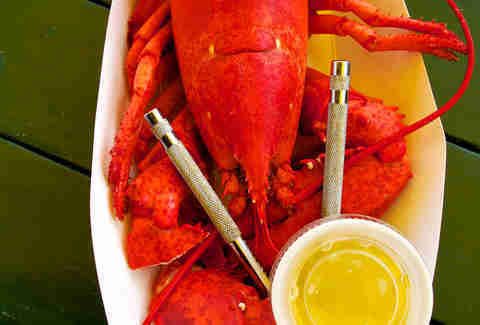 Leave lobster ALONE! It needs nothing but butter, and a bun if you’re eating it on a roll. And put it on a real bun, not a ramen bun. What is wrong with you? Do not add mayo or avocado. It's rich enough. Do not chop it up and put it in macaroni and cheese. No matter what kind of fancy imported fromage you're using, once you involve lobster, it might as well be Velveeta, because no cheese will ever be good enough. I once saw a lobster tail as a garnish for a Bloody Mary. That restaurant is dead to me. How dare you lower the sea’s most delicious meat to the status of a celery stick. I know you're trying to take your dishes to a new level, but lobster is on a level of its own and adding it to anything (or anything to it) will only subtract from its perfection. If you want to improve something, screw around with celery. It needs all the help it can get. Before getting into it, the fact of the matter is that the chocolate chip cookie qua cookie has already been messed with since the real thing I want, and you want, and everybody everywhere who has the capacity for want wants, is cookie dough. 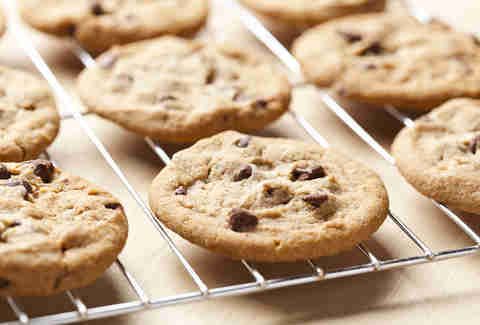 If I’m eating a chocolate chip cookie, I’m already upset by the fact that there is zero chance that I will contract salmonella. Beyond that initial disappointment, imagine the drop off the sheer face of disapprobation when it’s cut with shredded coconut -- a baking additive which has the flavor and texture of cuticles -- or when that chocolate chip you’ve planned your entire consumption around in preparation for the perfect bite winds up being carob, or a roasted almond, or an olive (true story). If you can’t imagine, picture a chocolate-winged Icarus plunging into the carob-dark sea. I guess I’m just trying to say that I really do not like carob. Not too long ago, some dangerous maniac sliced a glazed donut lengthwise, and forced it to accept a cheeseburger. A phenomenon was born. A million donuts died. Donuts are not hamburger buns. 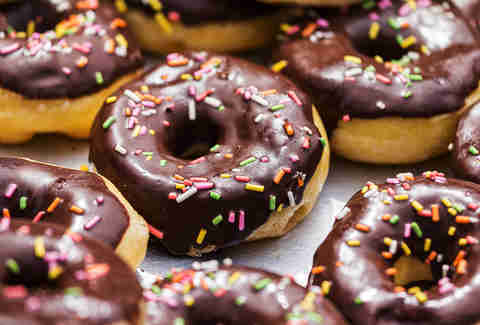 Donuts are donuts. Donuts are good. But like, in the way that God is good. Imagine if God had a cheeseburger in his midsection? That wouldn’t be a great idea either. Sure, people would probably be super-interested in Cheeseburger God at first, but after a few short months, they’d be way less into him than both 1) regular cheeseburgers, and also 2) Gods who have normal ethereal “bodies” that are really just a showpiece so us humans can relate a little more. Same thing with donuts. Imagine if the Dunkin guy said “time to make the donut burgers! !” every morning? He’d be even fatter, and much less happy. He’d know that it was no longer possible for people to disappear seven of his beautiful product and barely feel full. He’d know that cops couldn’t dip them into coffee very easily at all. Twin Peaks might not even have been a show. There are other such crimes. Take donuts with bacon on top. I’m not sure anyone even enjoys them; they just love the idea of buying things with bacon on them, then telling people about it on Internet. In Singapore, they make fish-flavored donuts. I refuse to even elaborate on that. And don’t forget donut hybrids, the most popular of which -- one culturally prominent croissant union -- people wait on line for, for hours, in Soho, New York, even though they’re rich. Rich people don’t wait in lines! It takes something highly foolish to make rich people wait in lines, like “drinks not even called Red Dog” at the “opera”, or those aforementioned evil centaurs of Snack. The point is: everyone, please, stop messing with donuts. Also, croissants are something nobody should mess with, but I feel like that happens far less often so they’re okay for now. But still, watch out. 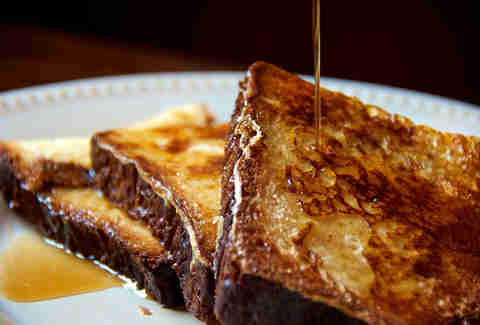 I love French Toast. I hate people who feel the need to “expand on it”. Take a nice thick slice of white bread, batter it up, fry it on a buttery skillet, and drown it in maple syrup. Done. Why do self-proclaimed “breakfast connoisseurs” feel the need upgrade something that is already inherently an upgrade (on bread)? No, you don’t need to replace the bread with donuts. Nor is “pretzel bread” acceptable. There are crazy people who also feel the need to stuff it with Canadian bacon (already a horrible excuse for bacon), eggs, cheese, and hash miscellany. Just...don’t. And what’s this trend of crusting with 86 different types of cereal? Cap’n Crunch belongs in a bowl, and subsequently cutting up the roof of your mouth in front of weekend cartoons. Not charred on top of your Toast de Francais. This dish is already a sweet, warm, irresponsible delight, there’s no need to “evolve” anything. Nothing beats the simplicity of a communal bowl of guac. Unless of course, the restaurant added a whole bunch of extra crap to that guac. That is where I say “put the weird fruit down”. 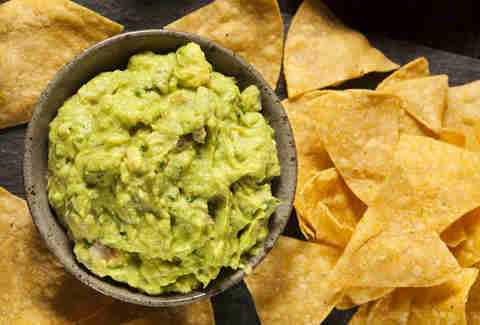 There’s something unimpeachably great about mashed, zested up, salsa-fueled guacamole that sits so deliciously on a salty chip. Why do people need to keep inviting pomegranate to the party? Papaya? What are you trying to prove with this tropical dalliance? And, come on, guac-hummus hybrids? Mixing flagship dips from the Mediterranean and Mexico should absolutely be an international crime. If I wanted berry-chickpea-quinoa-truffle-infused dip-amole, I’d go back in time to elementary school where it was commonplace to mix everything on your lunch tray together and gross out your friends. With guac, less is more -- unless you’re talking quantity. Then, more is more. Añejo has the most complexity and character of any tequila. Aging builds that complexity. We all get more character as we age, right? I use bourbon barrels to finish the Añejo because I love the sweet flavors of the bourbon, and the charred wood brings out the sweeter notes of the tequila. For me an Añejo is the dessert of tequilas. If you didn’t know you might think you were sipping a cognac...the cocoa, the vanilla...it’s just a very nice profile. Great tequilas make great cocktails, of course. 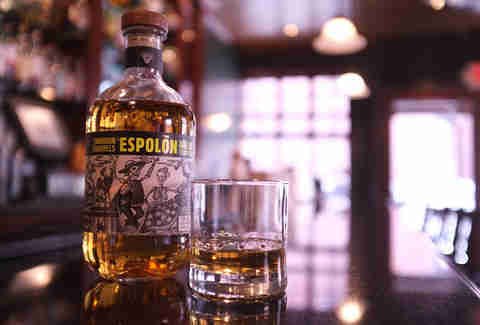 But for me Añejo is for sipping straight, or on the rocks. But never mixed. It’s delicious on its own. I’m looking at the menu of some gourmet grilled cheese place in Connecticut right now, and the first sandwich on the list is called “The Classic”. Which sounds promising, except “The Classic” has havarti in it. 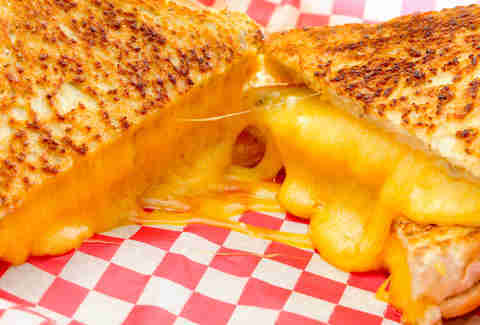 When I hear “classic” and “grilled cheese”, I think about what moms make kids after school. At no point in history has a child ever returned home at 3:30 on a Tuesday and said, “Mom, can you make me a grilled havarti?” -- or at least not a child whose parents loved him and allowed him to watch television. A “classic” grilled cheese is made with American or cheddar, on white bread, not focaccia. It doesn’t have to be high quality cheese (is there even such thing as high quality American?) because the act of melting ordinary average cheese already turns it into a magical substance. You can experiment with fontina and asiago and béchamel sauce all you want, as long as you acknowledge that you don’t need anything more than a few Singles, a few slices, and some butter. Don’t try to rewrite history just because you think you’re too good for cellophane. “MROOOOOoOOOOOooOOOOO”. That’s the sound I like to imagine Fudgie the Whale makes while I’m eating his fat, delicious face. There is only one ice cream cake and that is Carvel ice cream cake. Carvel lets me eat the faces of whales, clowns, holiday themed clowns, bunnies and other whimsical creatures made out of just barely melted layers of simple ice cream and frosting. 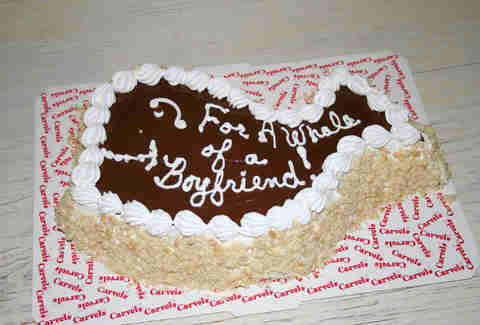 Carvel has not paid me to say this though if they would like to I will take a lifetime supply of crunchies. A message to chefs even considering saying “look at me I’m going all lowbrow by putting an elevated version of this quirky dessert option on my menu!”: ice cream cake is not meant to be made from Salted Caramel Pistachio Hazelnut Pork Belly Sorbet. It is not meant to be served on a Bed of Massaged Candied Kale. Ice cream cake is chocolate, vanilla, and $*@#!@! crunchies! “Oh you’re just a nostalgic jerk who doesn’t want change!” Look, just because I write-in Ronald Reagan every single election (especially local ones) doesn’t mean I’m afraid of change. But you just can’t fix perfect -- and that’s what Fudgie the Whale and his highly eatable family are. Hey, dummy. Stop messing with pizza, and when I say "pizza", I mean New York pizza. That's the only pizza there is. Shut up. Stop talking. Pizza is cut into perfect triangles, never party-squares. You are not three and you're not at Chuck E. Cheese. It is not a cake. It is flat. It is not a lasagna. The cheese goes on top and the sauce goes underneath. There is no reason to ever mess with the perfection that is a slice of pizza. You want to put some pepperoni or sausage on it? Fine. Go nuts. Those are the only toppings we're allowing here. Broccoli belongs on Grandma's dinner table or in Chinese food, not on a slice of delicious, infallible pizza. You want a pineapple? Go to Hawaii. You wouldn't travel to The Louvre and smear Buffalo chicken all over the Mona Lisa, would you? Of course you wouldn't. You would be quickly arrested and rightly so. How about dumping a boatload of mashed up "cheeseburger" on a newborn baby's face? No, you're not a monster. Don't put that stuff on pizza. If you want a cheeseburger, eat one. Don't try to make it at home. Don't eat it frozen. Don't eat it if you live in California or Chicago (have a taco or hot dog instead). Don't eat it if they refuse to serve it by the slice. (You hear me, Grimaldi's?) Pizza is not a bagel. Pizza is not a French bread hero freaking sangwich. Pizza is pizza. 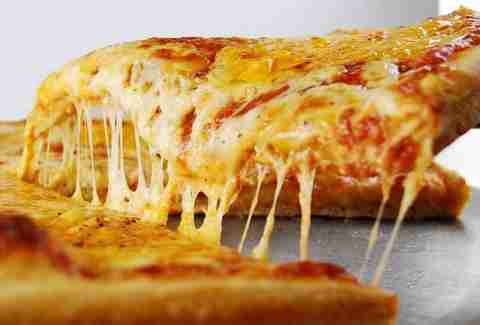 Pizza is perfect. It is the God Particle of food and when you mess with it, you mess with the stability of the universe. Don't mess with the turkey club. A turkey club should be a triple decker sandwich served on white toast, with iceberg lettuce, mayo, tomato, bacon, and sliced roast turkey. It should be cut into quarters, each quarter should be held together by a toothpick with colored cellophane at the end, and it should be served with a dill pickle spear and/or wedge. No avocado slices, no seven grain toast, no flavored aiolis, no limp alternative lettuces. 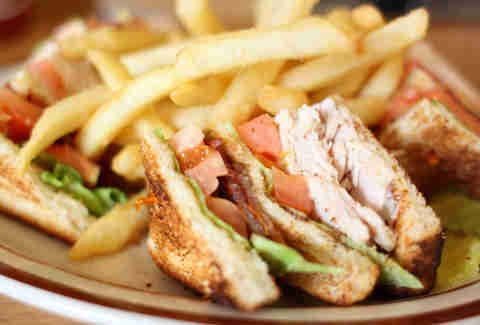 A turkey club should be a BLT with an extra slice of bread in the middle. And turkey. You know what repels me? Lobster mac & cheese. It’s freakin’ delicious, don’t get me wrong, but it represents something just plain evil. You know what that “something” is? Of course you don’t. This was a rhetorical device. Just… just let me get to the point, dammit: if you think about it, lobster mac & cheese (or any mac & cheese that’s been imposed upon by some super-luxe/foodie ingredient) is basically gentrification. Why? WHY?! Because, kids, it’s the exact same thing. There’s mac & cheese, a gooey, substantial proletarian treasure. Sure, it’s basic, but it’s not capital-B Basic. Also, it’s affordable, and for at least five minutes after you eat it, you are laden with a comforting, childlike warmth -- a rare luxury in this cold, low-cholesterol post-adolescence. 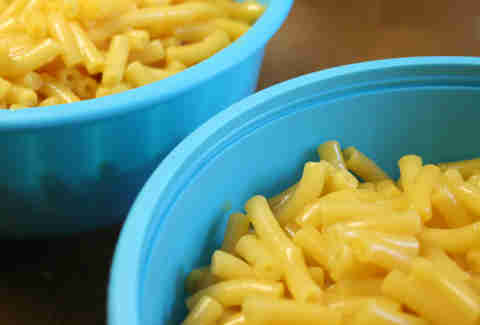 Mac & cheese MAKES SENSE, you guys. There’s nothing wrong with it. Then along comes pork belly, or truffles, or some goddamned lobster claws. “Oh, look at that adorable bowl of mac & cheese,” these haughty ingredients croon. “We could make it so much better.” No. NO. Stay the hell out of my mac & cheese, you entitled piece of… lobster. You will price me right out of this neighborhood, and I’ll be stuck on the outside looking in as you mercilessly pilfer the spotlight away from my cheesy working-class delight.